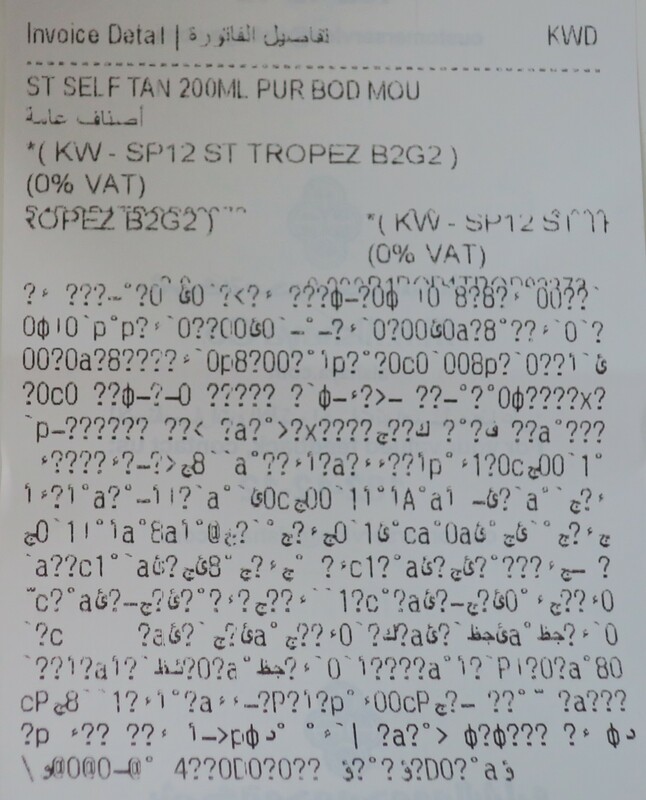 Not quite sure what went wrong with the receipt. Thankfully, I’d used my Al Shaya Privileges App and according to the app, I spent KD 45 in total. Keep in mind that these babies go for about KD 20 a pop, so KD 45 for 4 bottles was actually pretty good! I can’t wait to get my tan on (the safe way)!